As if the original model wasn’t cool enough, more deluxe edition of the Space Pirate, as it is known, in the brand’s own red-gold alloy, exceeds expectations. The Horological Machine No. 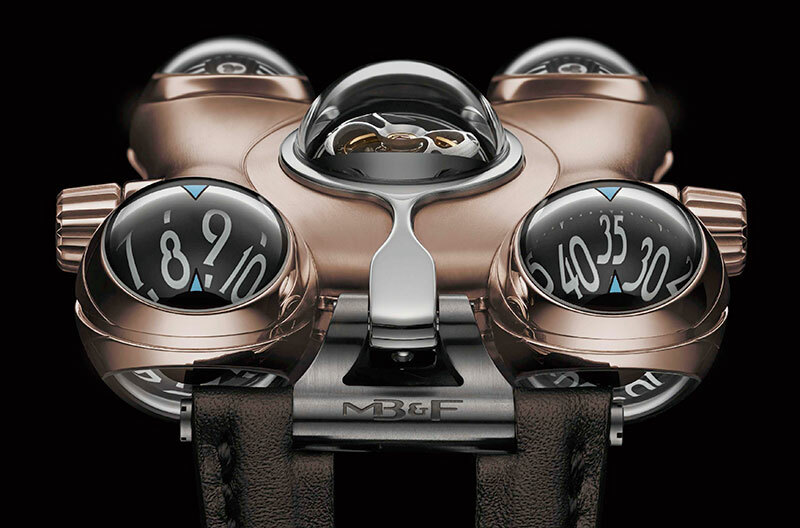 6 features a 360-degree sphere, capped by transparent sapphire crystal domes in each of the four corners of its biomorphic case. The initial inspiration for the watch was a Japanese anime TV series from Maximilian Büsser’s childhood — Capitaine Flam. Romantic yet mechanically complex, Marguerite’s inner dial is designed as a daisy, which rotates to tell the time, using butterfly-motif hour and minute hands. 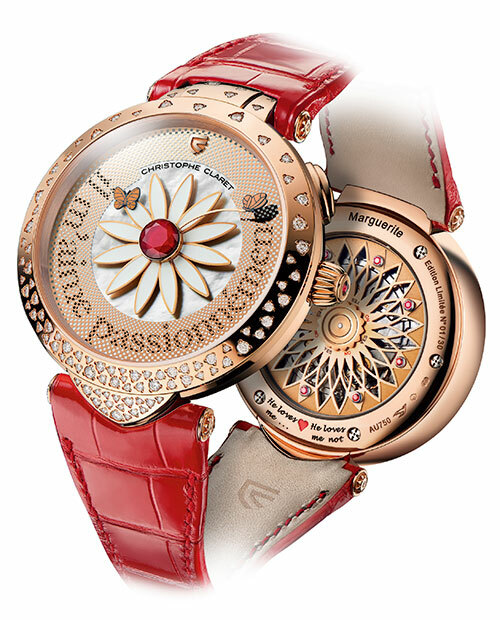 ‘Il m’aime passionnément’ (‘He loves me passionately’) appears on the dial at the press of a button and, on the back, one can indulge in a nostalgic game of ‘He loves me, he loves me not’. Embodying the electric atmosphere of Las Vegas, the Poker watch is an outstanding automaton model. 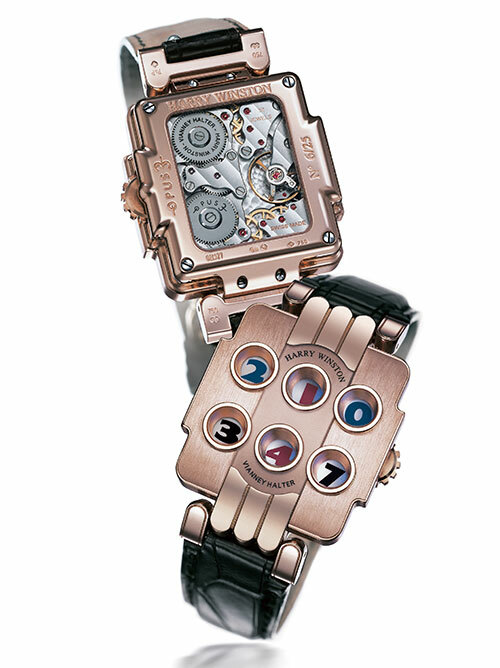 The wristwatch, which lets wearers play three-player Texas hold’em poker, is one of the watchmaker’s most complicated creations and the first in horology to replicate the game. Designed by celebrated Geneva-based craftsman Olivier Vaucher, the RM 26-02 Tourbillon Evil Eye is arresting, to say the least. Its dial is embellished with red-gold flames and an enamelled and lacquered ‘eye’. 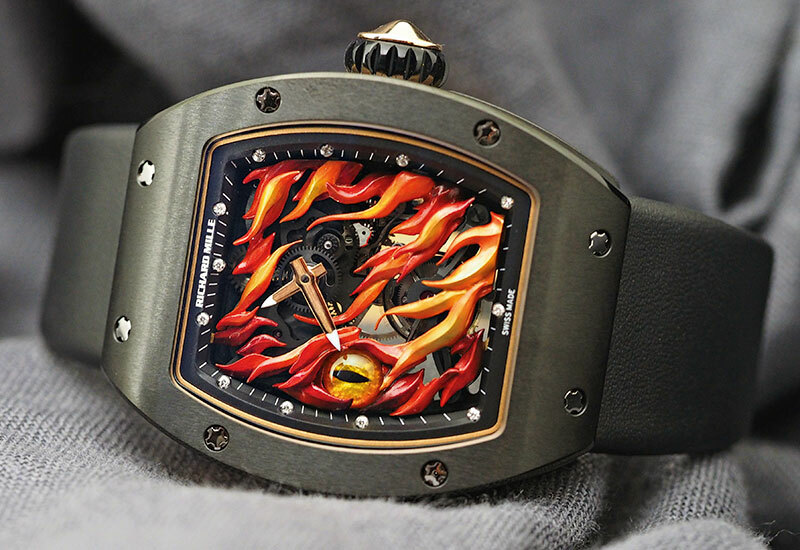 The high-tech ceramic case has a deep black matte finish that provides an ideal contrast to the fiery intensity of the dial, the middle of which is made of 5N red gold to echo the brilliant colour of the flames. 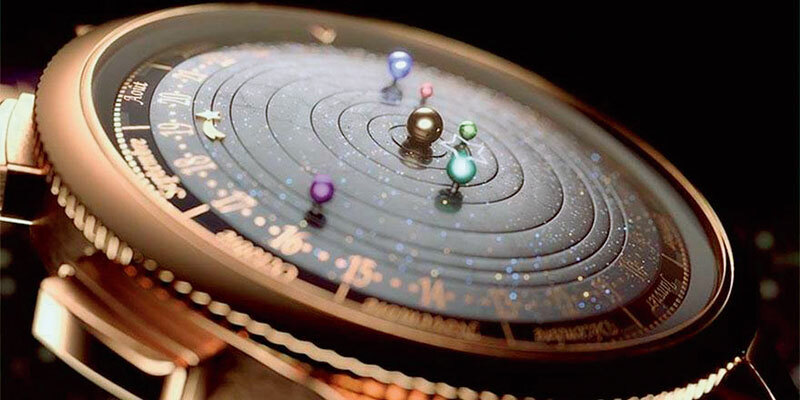 This one puts a galaxy on your wrist. The pink-gold Midnight Planétarium features a miniature replica of our solar system that includes the sun, a shooting star and six bejewelled planets. Each planet, represented by stones like red jasper and sugilite (and a beautiful turquoise for earth), moves on its own disc, accurately depicting the orbit around the sun. One of the watchmaker’s most attractive timepieces, the Chronomat 44 Raven features orange-rubber-inlaid numerals on the unidirectional rotating bezel, which can be seen from across a room. The coloured highlights continue on the inner tachymeter bezel, the central chronograph second hand and the counter pointers, while the satin-brushed steel case is entirely clad in black, thanks to a high-resistance, carbon-based coating matching the rubber strap. 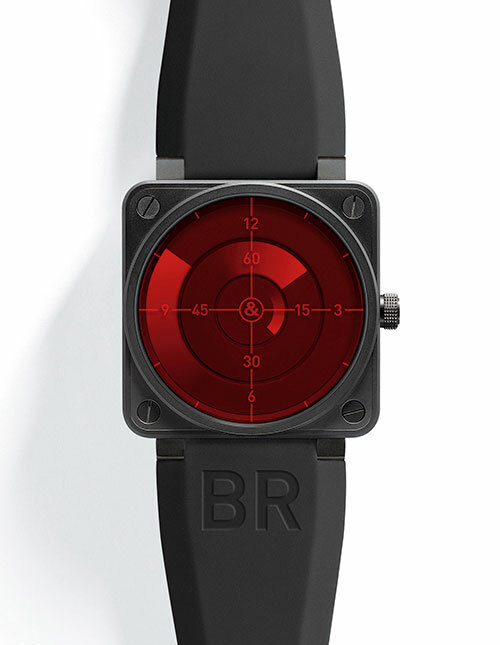 Designed to look like the radar screens used in air traffic control towers, submarines and other settings where tension run high, the BR 01 Red Radar uses a disc system mounted on a traditional ETA movement. The cool factor lies in its graphics, which feature the sweeping effect of a light beam on an actual radar screen. The Swiss watchmaker has undoubtedly made fans of soccer club Arsenal FC extremely happy with an official team watch. 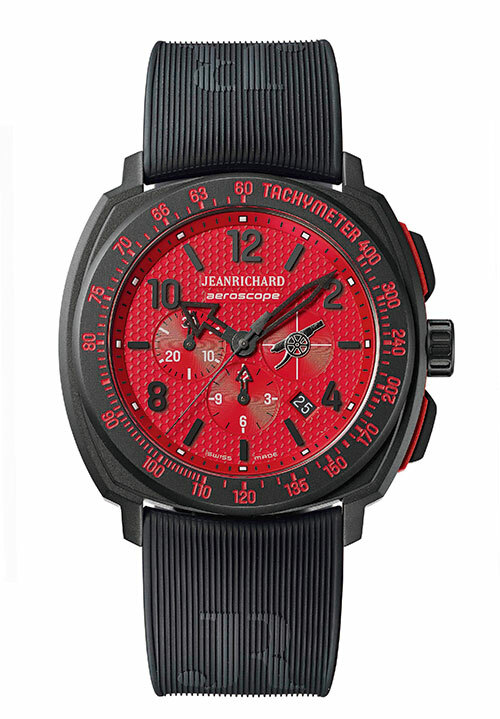 Painted in the club’s signature bright red colour, the Arsenal Aeroscope Limited Edition features a honeycomb-stamped dial presented in a 44-mm sandblasted black DLC-coated titanium case with matching titanium bezel. The Opus 3, created in partnership with steampunk watchmaking maverick Vianney Halter, breaks all rules of time display and design. The time can be read via six ‘portholes’ through which 10 discs, rotating independently, display the hours (top outer portholes), the minutes (lower outer portholes) and the date (centre-top and centre-lower porthole). To avoid the dial from being too static before a change of hour or minute, the upper date aperture displays a countdown of the final four seconds of the minute! 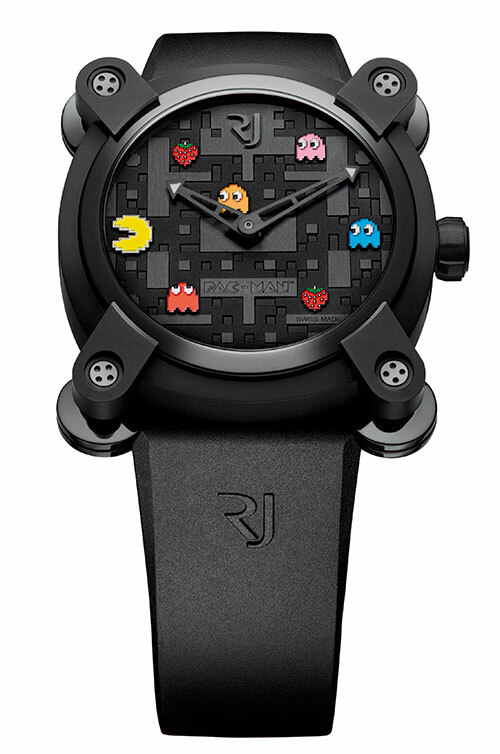 Eccentrically recalling classic video-game culture, the brand’s Pac-Man timepieces pay homage to what is probably one of the most recognisable games in history, also marking the popular yellow character’s debut in the luxury product world. These watches recreate a view of the gameplay, complete with colourful pixelated characters. Fuchsia, turquoise, pale pink, yellow, violet, orange…embroidered lurex threads take their inspiration from 2016’s catwalks in the Big Bang Broderie Sugar Skull. The smorgasbord of colours form a not-so-scary skull on the dial, juxtaposed with the simplicity of the black ceramic that adorns the case and bezel. The MP 05 LaFerrari Sapphire, on the other hand, takes a different approach. 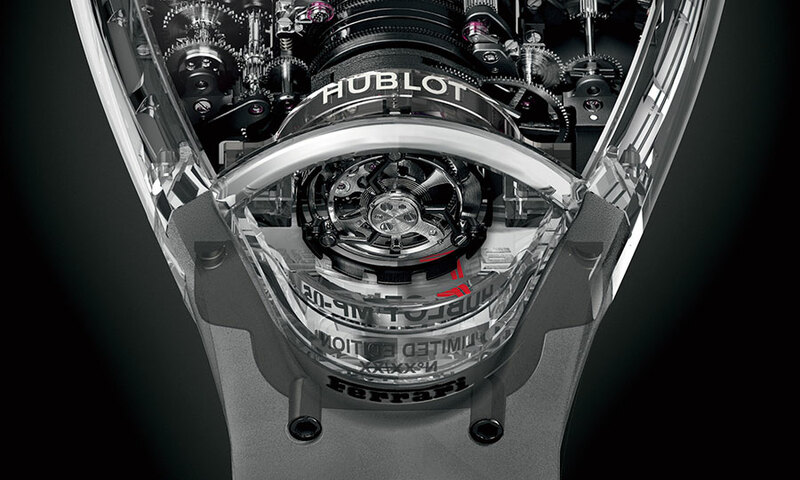 Dressing the brand’s Ferrari engine-inspired movement in an all-sapphire case, the watch is a result of close collaboration between the brand’s watchmakers and Ferrari’s design director, Flavio Manzoni. A popular model from a brand that has carved out a niche with its machinery-inspired timepieces, the P1-03 is undeniably striking, exuding a self-confident attitude that’s hard to ignore. 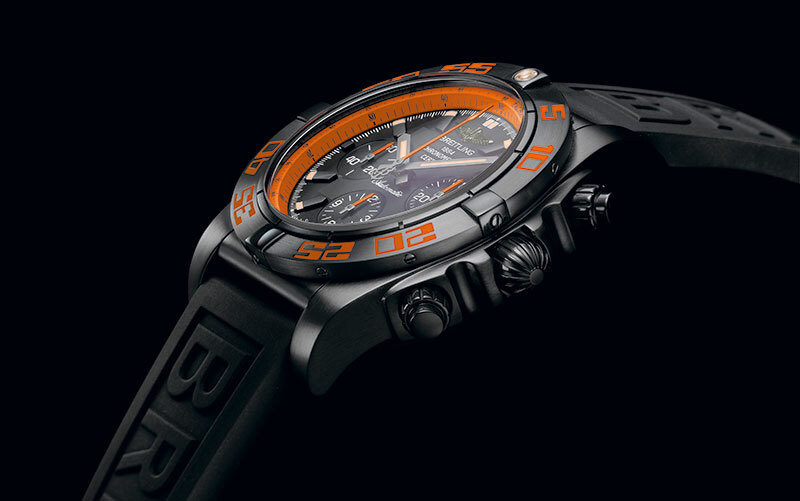 The urban, sporty watch flaunts a bold orange colour complemented by a stainless-steel case with black PVD treatment, while the silver hour hand enhances its aesthetic appeal. Having come to expect nothing but the unusual from this brand, it is no surprise that three of their creations make the cut. With the Skull Maori, it introduces traditional decorative techniques for the first time, as the now-signature skull is brought to life by intricate Maori-style tribal engravings. The bold choice of doing away with the minutes shifts the focus to the capillary, and centres all the attention on the piece’s architectural design. 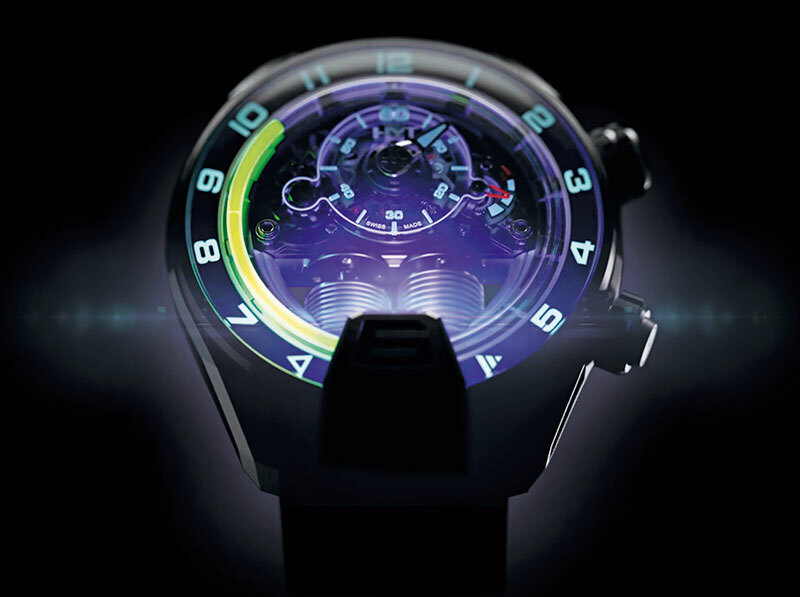 The H4 Metropolis displays time using fluorescent liquids, by means of a small electrical generator that powers up two LED light sources under the rider at 6 o’clock, thus illuminating the entire dial without a battery. 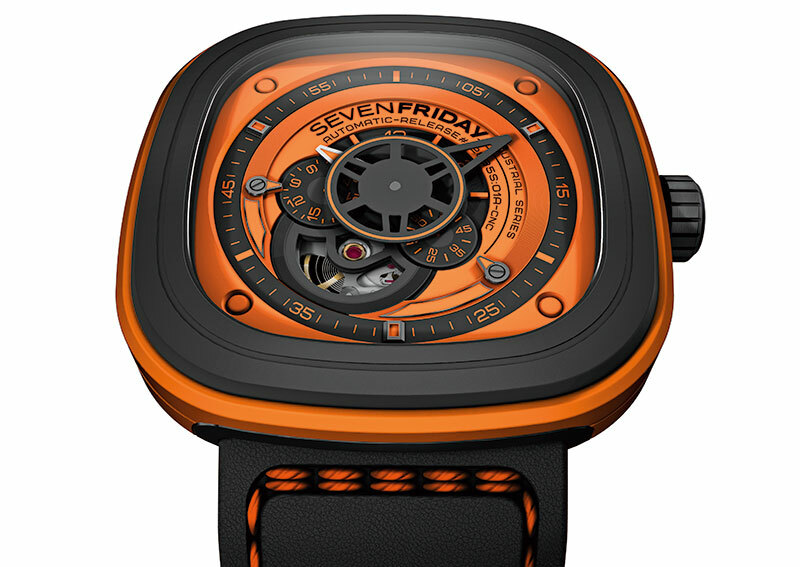 A watch that overcomes the force of gravity, the Azo Project timepiece is a sure-fire head-turner, with a fluorescent case, the colour of which is a perfect match for the liquids in the watch’s fluid module.